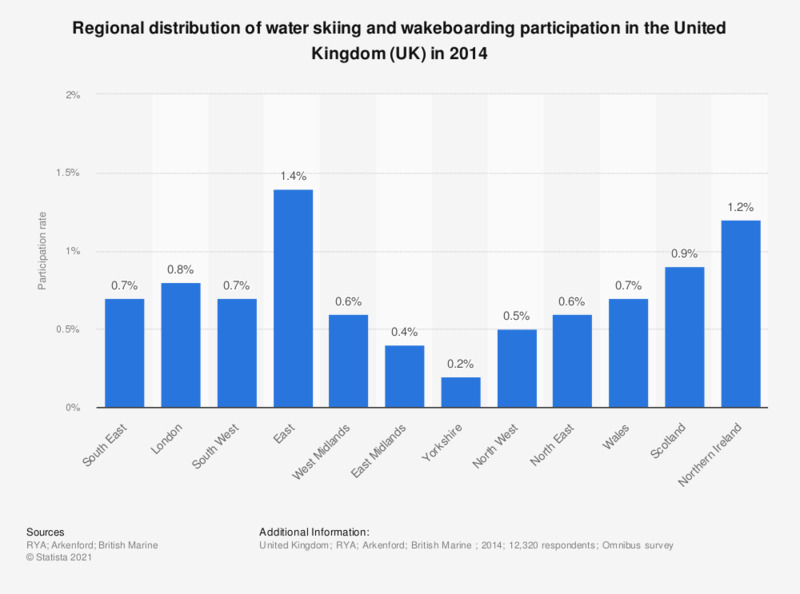 This statistic displays the results of a survey on the participation in water skiing and wakeboarding in the United Kingdom (UK) in 2014, by region. In 2014, it was found that 0.8 percent of the population in London participated in water skiing or wakeboarding. In 2011 a bespoke online survey was also introduced.